Today was too lovely to stay inside or even in town, so I grabbed dear daughter and we went to Mt. Rainier to take a stroll on Trail of Shadows in the Longmire area of Mt. Rainier. 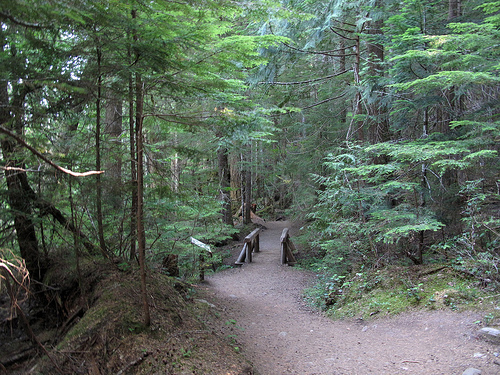 It is a short trail (.7 miles), but really lovely with views of open areas, Mt. 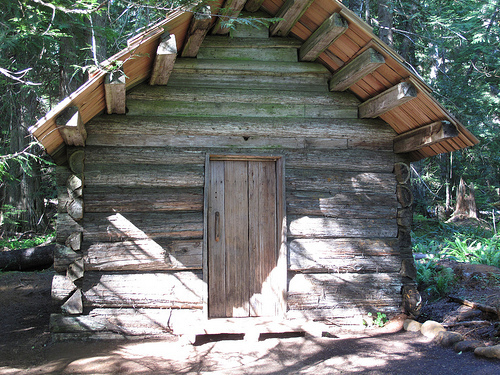 Rainier, wooded areas and a pioneer cabin. James Longmire settled in the area in the late 1800s and when he saw the mineral springs he built a spa to capitalize on them. 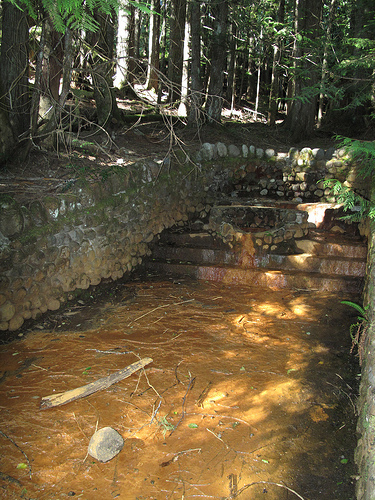 The one photo below with the reddish mud is the remains of one of the Longmire Medical Springs. There is a sign near the springs that says “Please don’t drink this water. It can make you very sick!” Never crossed my mind that somebody would actually drink it! This entry was posted in Ashford & Mt. 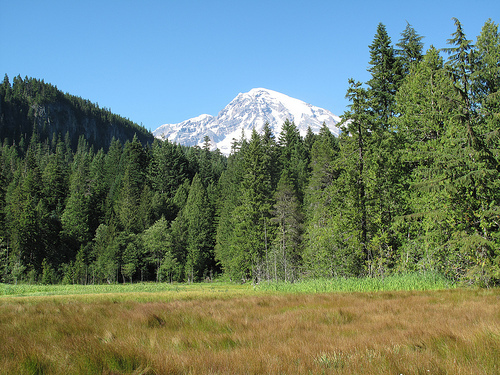 Rainier, Historic Sites, Parks, WA State - Pierce County and tagged cabin, hike, Longmire, mineral, Mount, Mt. 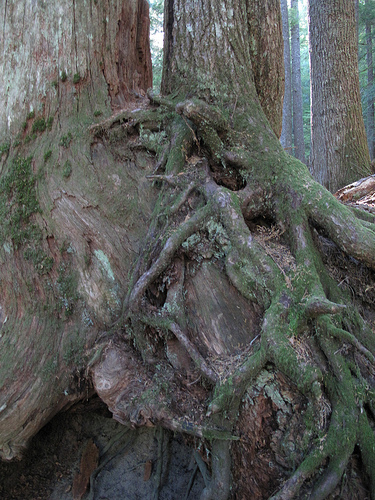 Rainier, pioneer, Rainier, reddish mud, springs, Trail of Shadows on August 17, 2011 by admin.